The name is a very apt one indeed. The term hamlet conjures up images of a quaint charm and European sophistication…and these outstanding condominiums have both in abundance. Situated unobtrusively in the dense woods at the base of Nub’s Nob, their location gives this property a private and serene air. The meticulously crafted units blend in beautifully with the natural surroundings and are wonderfully appointed and loaded with luxuries. Ski-in, ski-out home sites between Nub’s Nob South and Pintail Peak have access to chairlifts and 12.9 miles of groomed cross country ski trail (also walking, hiking, mountain biking and jogging trail, with access to the “North Country Trail System” ). This is an exceptional location for that special vacation home, year around or retirement home you’ve dreamed about to enjoy with family and friends. Mountain Side offers gatehouse access from Pleasantview Road and it’s central location is close to Harbor Springs, Petoskey & all of Northwest Michigan. 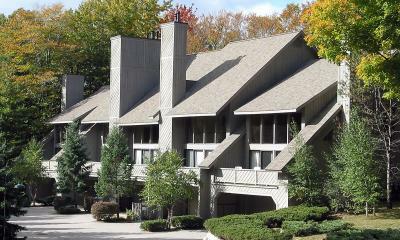 SLOPE-SIDE CONDOS in a picturesque wooded setting have “SKI-IN, SKI-OUT” access to Nub’s Nob Chair lifts & X-Country Trails (summer nature trails) & are 1/2 mile to Boyne Highlands. Each unit has a “jetted tub”, fireplace, deluxe kitchen with dishwasher & microwave, outdoor gas grill, cable tv, telephone, washer & dryer and air conditioning. Units are completely furnished including linens. Perfect for your base of operations. 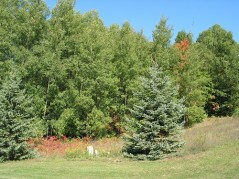 Call 231-526-2641 today for information on listed units available for purchase. 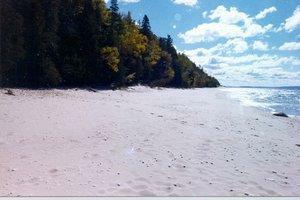 Shore Drive Road meanders north from Harbor Springs to Seven Mile Point Bluffs, on the shores of Lake Michigan. On a clear day you can see North and South Fox and Beaver Islands, more than 25 miles away.